One of my impetus for coming to Bali on such a short trip was the prospect of flying my drone over this beautiful island. 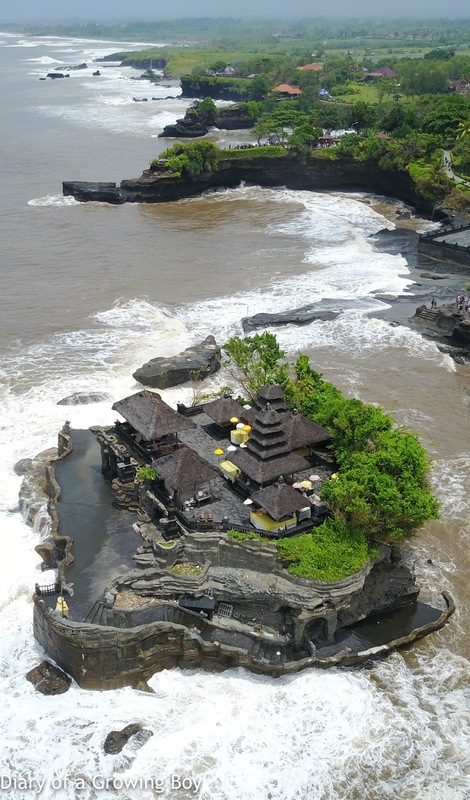 In particular, I wanted to take some aerial footage over the iconic temples of Pura Tanah Lot and Pura Uluwatu. I spent a lot of time researching the drone laws in Indonesia - which were published in 2015 and updated in 2016. Not satisfied with the English summaries put out by a few law firms, I found the original text and asked my friend L to translate the key parts. As Ayana Resorts and Spa, Pura Uluwatu, and Pura Tanah Lot were all somewhat close to Ngurah Rai International Airport, I was desperate to find out the exact definition of Kawasan Keselamatan OperasI Penerbangan - the restricted airspace around an airport. I eventually gave up and decided to fly my drone regardless. 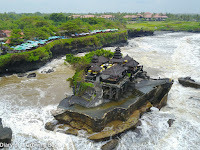 On the first morning, we were picked up by our driver and headed north to Tanah Lot. Upon arrival at the toll gate, I told our driver that I had no intention of going to the actual temple. What I wanted was to find a secluded spot near the temple - somewhere I can use to launch and land my DJI Mavic Pro. Thankfully we managed to find just such a place. I launched the Mavic Pro into the air, and sent it over the open water towards the temple. The waves were coming in pretty hard, and it was pretty cool getting a bird's eye view. I made a few passes over the temple, sometimes flying backwards for a different point of view. Then I set the drone in Point of Interest mode and started circling the temple. This was the one thing that I most wanted to do - to be able to shoot a 360° view of the temple from above. I got a pretty good view of everything on that rock, and circled it a few times. 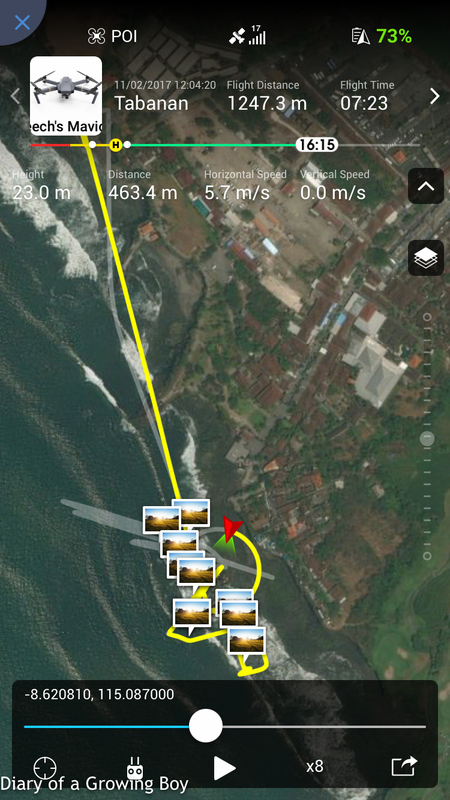 After I recalled my drone, I saw one of Air Bali's choppers come around and hover ave Tanah Lot. At that moment I realised how lucky I was. I could have been on that chopper and gotten a similar view as I just did flying the Mavic Pro... but I would have been subjected to the vibrations of being inside a moving chopper, and would have needed the use of a much bigger and clunky professional gimbal to get any decent shots. The footage I got with my drone was taken while I sat comfortably on a chair, without any noise or vibration. This was a lot of fun and I wish I could have stuck around a little longer, but it was time to head back and grab some lunch. I headed to Pura Uluwatu after lunch, and I had picked out what I thought was another perfect spot from which to launch the drone. Unfortunately, I found out after arriving inside the temple parking lot that the spot was inaccessible. It was going to be a full moon tonight, and besides the usual horde of tourists wanted to watch a kecak performance at sunset, the locals were also coming to worship. The temple staff would not allow any drone-flying, even if I were willing to pay a ridiculous fee (I wasn't willing). And I certainly did not want to be disrespectful and buzz my drone above the temple while the locals were worshipping. So I decided to go back to Ayana Resorts and made it just in time for my sunset dinner date with Hello Kitty. 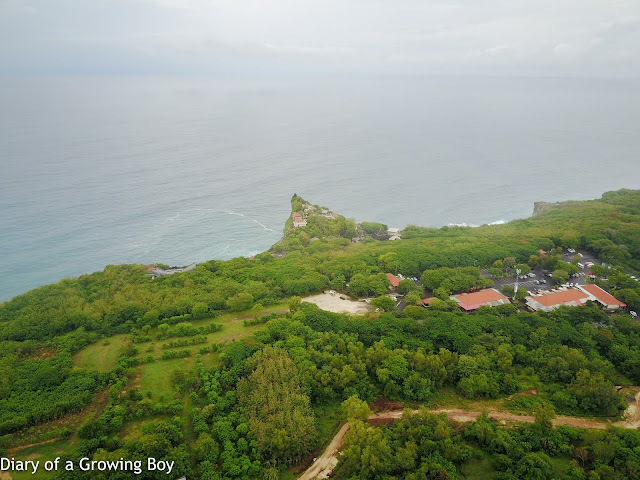 The next morning, after some delay due to unexpected rain, I decided to go out to Nyang-Nyang Beach to launch my drone. I scoped out the place with my driver from the day before, and the cliff above the beach seemed like the perfect spot - it's where paragliders launch themselves. I got the Mavic Pro up in the air and immediately dropped it down towards the waves, flying parallel to the beach. 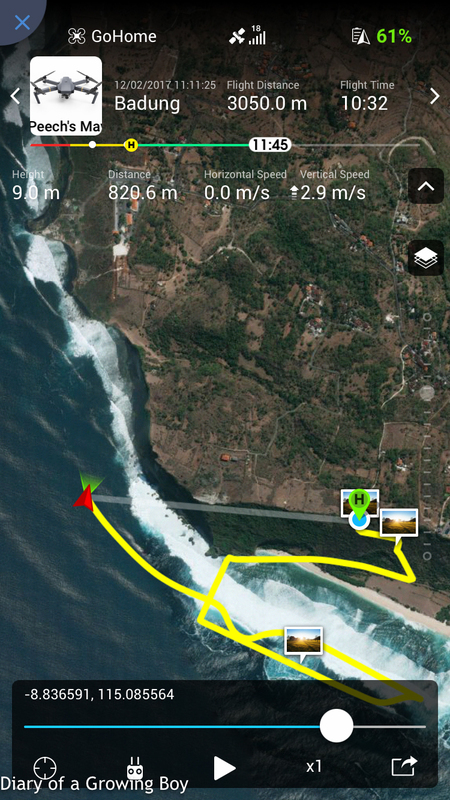 Then I navigated it along the cliff and made my way towards Uluwatu. Unfortunately for me, the signal between the drone and the remote control was lost at a distance of just 800m out - since I was circling around the cliffs. The Mavic Pro automatically went into return-to-home mode and came back to me. 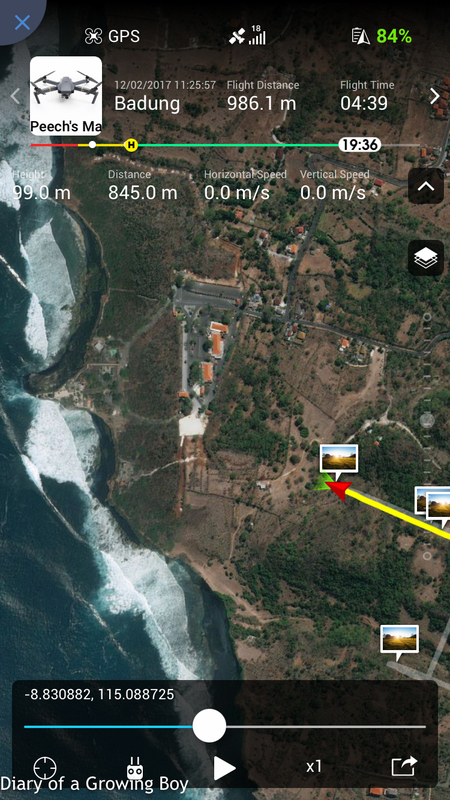 Not having gotten the footage I wanted, I decided to try again using a more direct route, flying over land in a straight line towards Uluwatu. This didn't work, either... There was just no clear line of sight from me to the Mavic, and the signal got lost at just under 1km out.